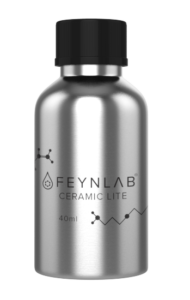 FEYNLAB™invented the original CERAMIC coating for automotive paint protection. The theories and formulas have greatly advanced since then. FEYNLAB pioneered nano resin systems and continues to push the boundaries of this technology. The goal with the FEYNLAB Ceramic coatings is to be the most durable, chemically protective, simple to apply and ridiculously glossy. A to Z Detailing is a FEYNLAB approved installer and is excited to offer the FEYNLAB product line in Vaughan, Ontario. This is the highest level of Automotive Paint Protection & Maintenance available. 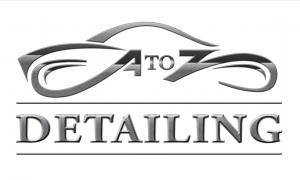 The self-healing series of coatings are the most impressive advancement in automotive paint protection since FEYNLAB introduced the first Ceramic coating. 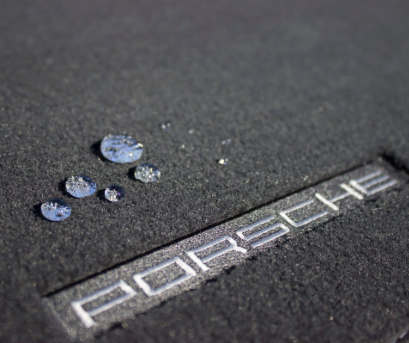 An extremely hydrophobic surface with exceptional gloss. Ceramic Lite is our most economical ceramic coating that will easily outperform any wax or sealant on the market today. Industry leading UV ,chemical, and heat resistance resulting in a vehicle that looks new for years to come. 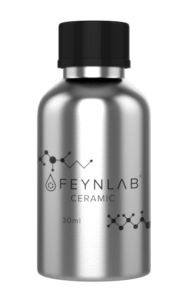 Feynlab Ceramic offers incredible hydrophobic properties with brilliant gloss. Our top tier coating. Ceramic Plus offers excellent heat and UV resistance, brilliant gloss and depth of color, as well as being the only self-healing ceramic coating available on the market. 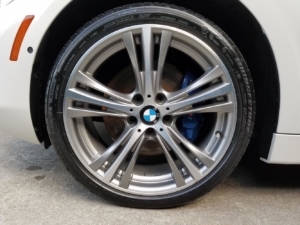 Throughout the life of the installed product, a vehicle coated with Feynlab Ceramic Plus will show significantly less swirl marks, marring, and wear than any other ceramic coating available on the market. This is a result of Feynlab’s true nanotechnology and bonding chemistry which allows for an unparalleled level of protection since the formula penetrates further into the existing paint structure than anything else available. Developed specifically to protect rims and calipers from harsh conditions and make cleaning and maintenance a breeze. Our super thick and durable ceramic nano coating invites extreme conditions because it was designed for high temperatures and a constant barrage of intense contamination. Tire Coat is our ceramic coating for tires. With a minimum of 1 year durability, your tires will keep a freshly dressed sheen while repelling water, dust, and debris. Reinstall wheels and torque lug nuts to factory specifications. Made for convertible tops, cloth seats, carpets, leather, headliners and plastics. Offering leading UV protection, surfaces treated with Feynlab Textile are also very easy to clean and maintain.Feynlab Textile safeguards fabrics from spills, stains, extreme weather conditions, and life’s accidents. 1 Layer of Feynlab Textile applied to all interior surfaces including headliner. FEYNLAB® Ceramic Coating Estimate & Questions? Questions & Pricing for Feynlab Ceramic Coatings?